Euglena is a genus of single-celled organisms that live in bodies of fresh and salt water. Most species of Euglena have chloroplasts that are used for photosynthesis, much like plants. Additionally, most contain a single photoreceptor and eyespot, allowing the Euglena to track and move toward light sources. To learn more about Euglena, see this Wikipedia page. You can also see hundreds of Euglenas swimming around in this video. To emulate Euglena behavior, we're going to make a light-seeking robot that moves toward areas of bright light. 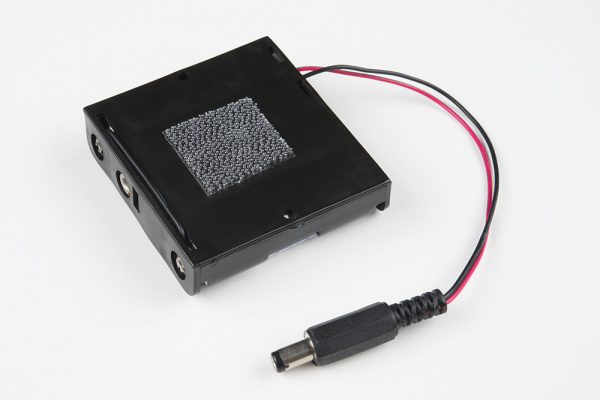 The SIK v4.0 only comes with one photocell (light sensor), which means that we will need to have our robotic "organism" turn left and right in order to detect the direction of brightest light. 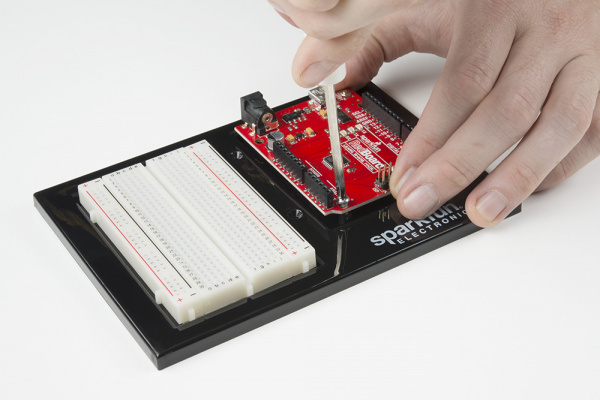 To begin, make sure that your breadboard and Arduino are secured to the baseplate. Complete instructions for attaching both can be found here. Using scissors, cut three strips of Dual Lock that are 1.25 inches (3.2cm) long and 1 inch (2.5cm) wide. Remove the adhesive backing, and attach two pieces to the corners under the baseplate and a third in the center. Cut two more strips that are 1.25 inches (3.175cm) long and ¾ inch (1.9cm) wide. 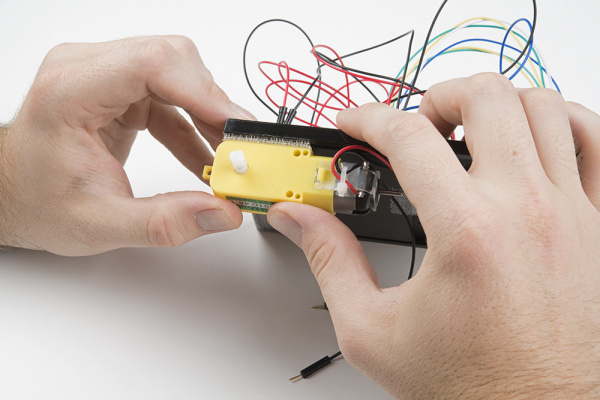 Remove the adhesive backing, and attach the strips to the two motors. 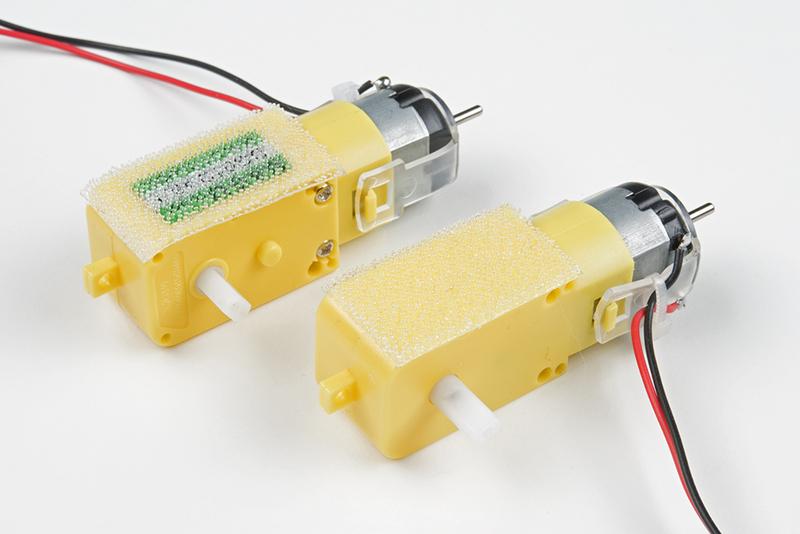 Be sure that your motors are mirror images of each other when you attach the Dual Lock. 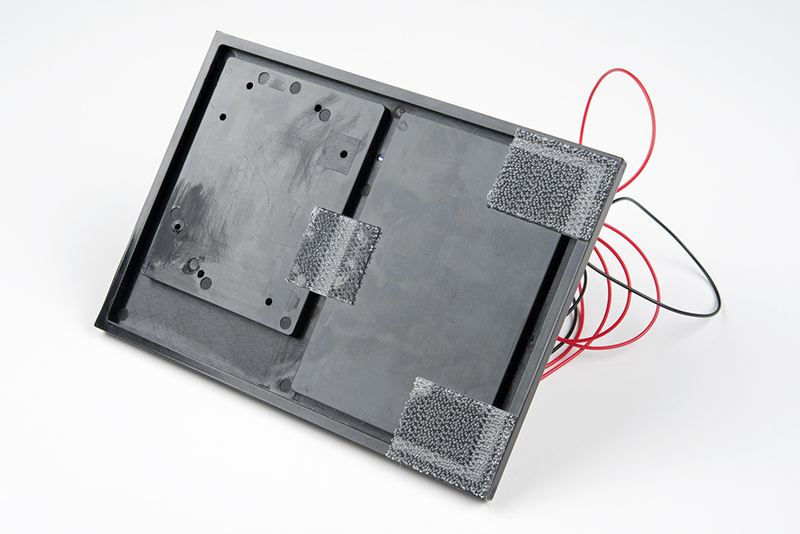 Press the motors to the baseplate, connecting the two Dual Lock surfaces. Try to get the motors as straight as possible so your robot will drive straight. The bottom of your baseplate should look like the image below. Remember that the two motors should be mirror images of each other. Note: The direction in which the motor wires face is arbitrary. Having them face out makes the circuit easier to build. Having them face in makes the circuit more robust against wires getting ripped out. 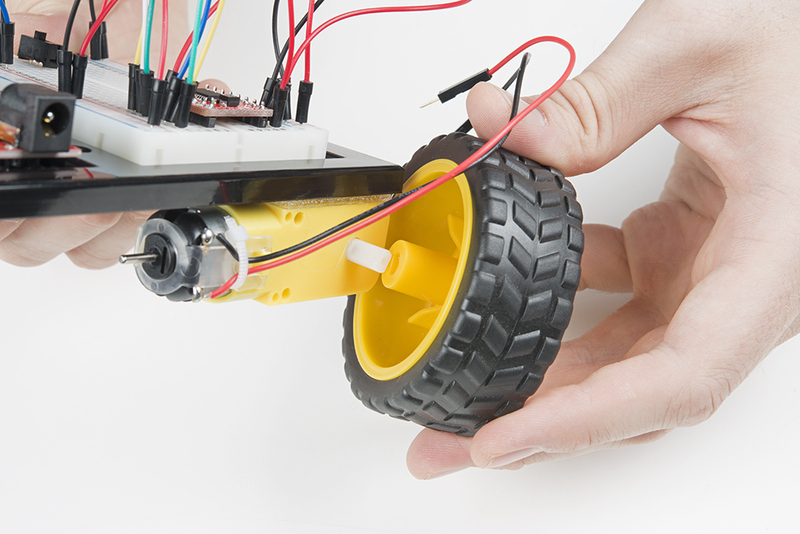 Attach the wheels by sliding them onto the plastic shafts on the gearmotor. The shaft is flat on one side, as is the wheel coupler. Align the two, and then press to fit the wheel onto the shaft. 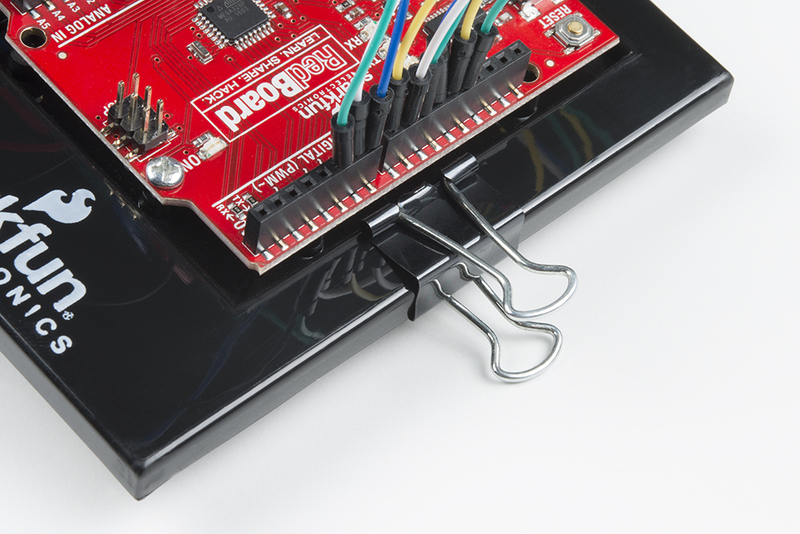 Clip the binder clip onto the back end of the robot. This will act as a caster as the robot drives around. Cut a piece of Dual Lock that is about 1.25 inch x 1 inch (3.2cm x 2.5cm). Remove the adhesive backing and attach it to the back of the battery holder. Press the battery holder to the baseplate so that the two pieces of Dual Lock snap together. Insert the batteries into the holder if you have not done so already. Remember that batteries are polarized and can only go in one way. Heads up! Make sure your switch is in the OFF position. 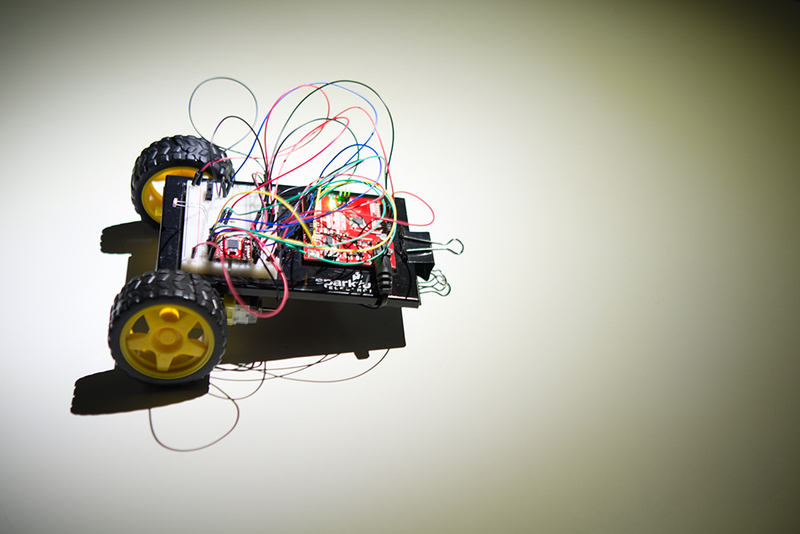 As soon as the code is finished uploading, your robot will begin driving. Make sure it cannot drive off a table or other high surface and injure itself. 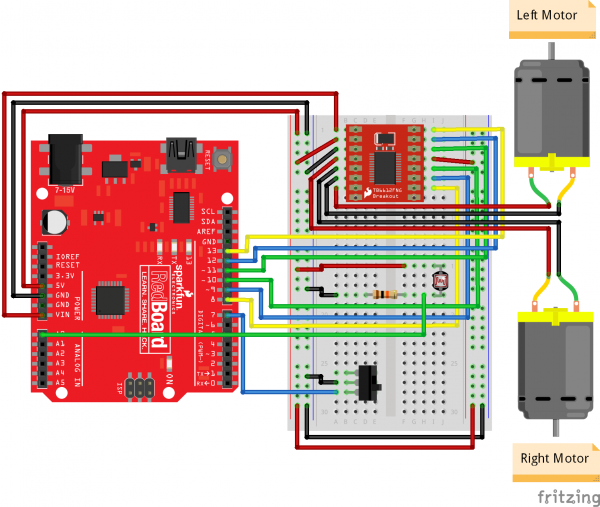 Copy and paste the following code in the Arduino IDE. Click Upload and see what happens! * checking left, right, and center. When the switch is OFF, the robot will not move. When you turn the switch ON, the robot will turn left and right, taking light measurements at each extreme. It will also take a light measurement from the center. 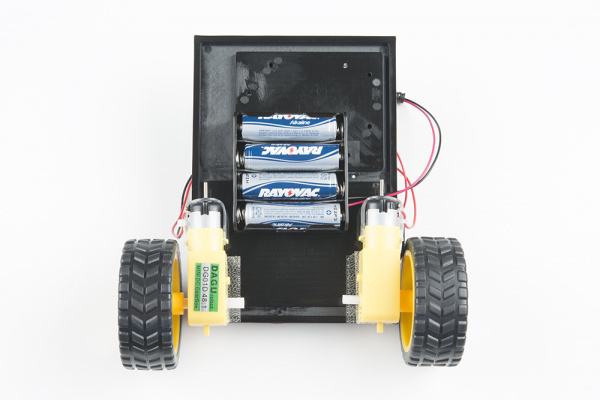 The robot turns to the direction with the most light and moves forward a small amount. It then repeats the pattern of looking for light and moves toward the direction of brightest light. Note that trying to direct the robot with a flashlight or other light source can be difficult. Reflected light from the wheels can sometimes be brighter, for instance, than reflected light on the ground. It can take some patience to get the robot to move the way you want. You can also try modifying the code to make it faster at taking three measurements (by spinning the wheels more quickly or not turning as far to measure) or to take more than three measurements at a time. 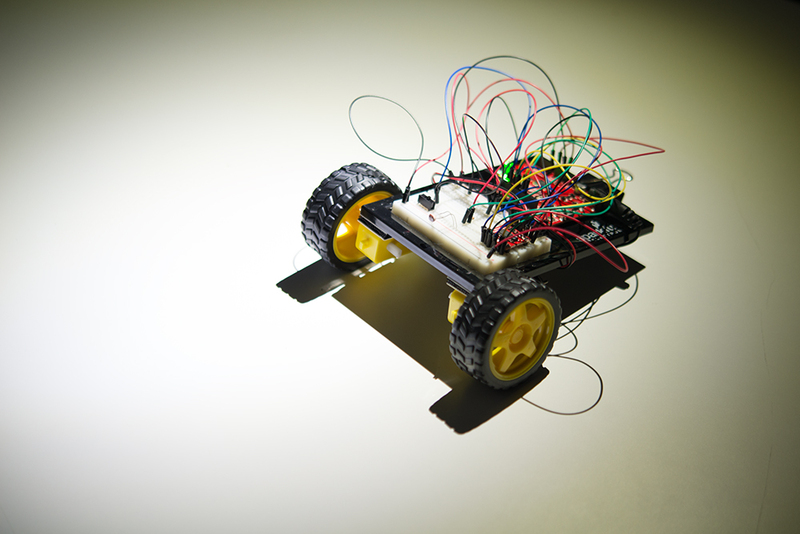 The code and circuit diagram for the Light-Seeking Robot project can be found on GitHub. 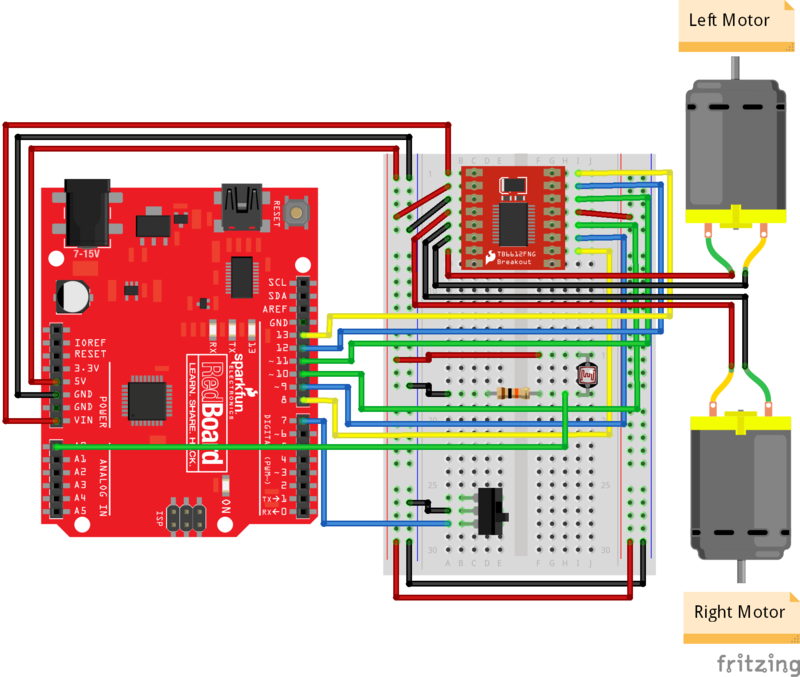 Right now, your robot has only one sensor and performs a very simple search-decide-move loop. 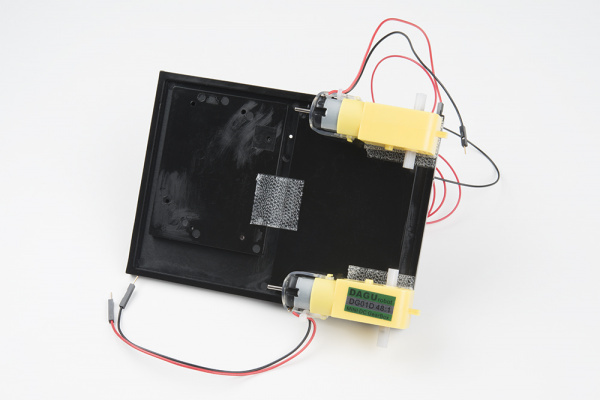 If you wanted to make your mechanical and electrical "organism" more robust and smarter, you could use additional sensors, such as an Ultrasonic Distance Sensor to determine if the robot is about to hit an object. Additionally, you could give your robot very simple artificial intelligence (AI) by using algorithms like Q-Learning so that it learns how to respond to various sensor inputs.